Here's my new ePal, P.T. vonFirstenbirdie. 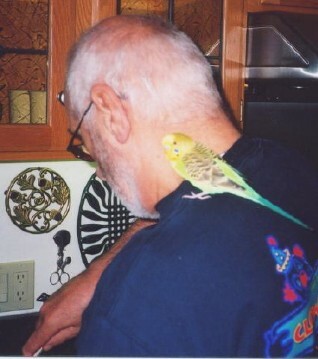 Uncle Ed "vonFirstenbirdie" is making guacamole while P.T. oversees the whole thing. They live in San Francisco, California, and P.T. thinks Rio's very pretty. Rio loves to get email from other birdies and squirrels, too. Thanks so much, and Rio says that 'P.T. is about the prettiest parakeet she's ever seen'! Here are two of my cutie little rat epals named Summer and Autumn. Aren't they precious! 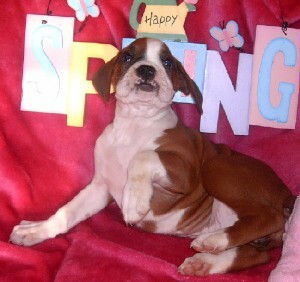 Autumn is standing up to say hi to me and Summer's busy licking her foot, upside down. 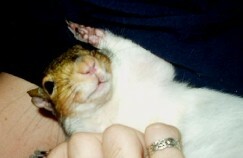 They are the babies of two of my friends in London, England, named Mark and believe it or not, Squirrel! 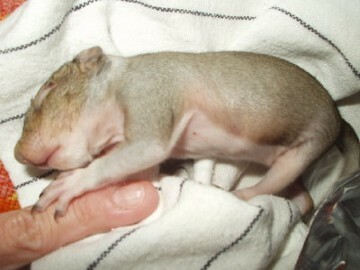 She legally has the name Squirrel which I think is SUPER! She loves me, Sugar Bush, and is an active member on my web site. She's even written in to help me save Nic! Thanks so much for all of your nice emails and support in my efforts. I love having little rat ePals because they have cute little feet and faces like I do...and they are rodents like I am, too. Meet Jess and Steven and their menagerie of animals. 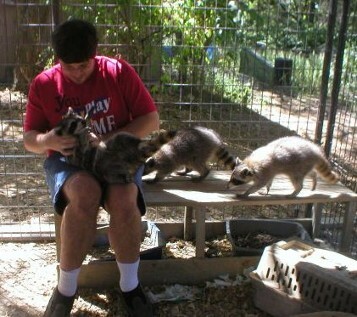 Jess is a licensed wildlife rehabber and together they have saved many animals' lives. They are a Scottish family who live in the great state of Kentucky. 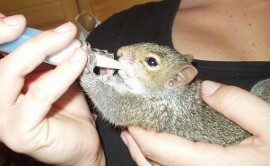 Here is the story of Lego, their darling squirrel, and Stinky Pete, their little skunk, and how they were rescued. see Sugar Bush! You bet, Lego! I love you and I've got your picture hanging on my pin-up board, too! and we let them know that the mother would come back for her babies. cold), how were we to refuse such a cute little guy? Thanks so much, guys, for sharing your wonderful story and helping all of my fellow animals...we appreciate it so much!!! Now we go over to Scotland to meet Erebus, my new little rat ePal. He lives in Glasgow in bonny Scotland with his mom, Alexa. She's studying opera and thinks that Sugar Bush should make an opera cameo appearance in the future. We want to wish Erebus a speedy recovery, as he hasn't been feeling well lately, but we know he'll be fine. You can tell that he is very spoiled and loved! Thanks Erebus, and you and Alexa, keep in touch and get well soon! Here's another one of my beautiful bird ePals. This is Peaches. 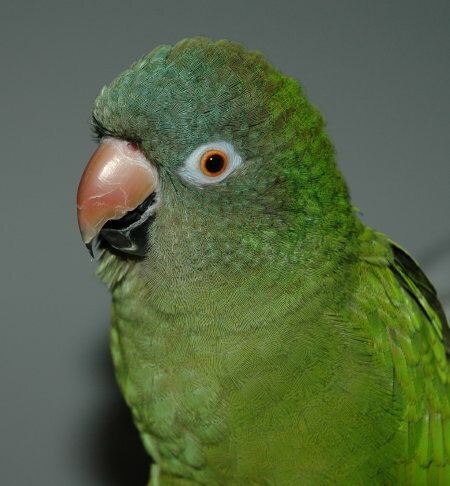 He is a male, Moloccan Cockatoo who is 28 years old. He lives with 2 cats, 2 degus, Shelby the Wonder Dog and their mom, Robin, way up in Calgary, Alberta, Canada. They love Rio, my big sister, and want to see more pictures of her. So, just for you, Peaches, below is a new photo of Rio. Wow, maybe you'd like to email Rio a love note sometime. She'd like that! 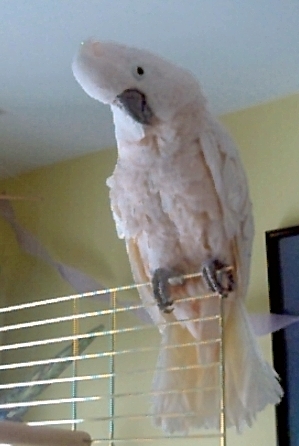 Rio says, "Hi, Peaches. Send me a note sometime!" My next ePal's photo was taken by Scott Alan Johnson, who has spent the last 2 years photographing squirrels and chipmunks in and around Cleveland, Ohio. My ePal 'photograper squirrel' is named Carl (named after Karl Malden, the actor, because the first time Scott saw him, his nose was covered in mud and looked larger than normal). Nature Photography as soon as they open up a campus near his tree. up a tree when chased by some barking dog. called "The Hollow Tree". 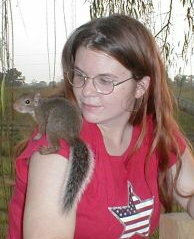 Carl is an Eastern Fox Squirrel and is a wild animal. 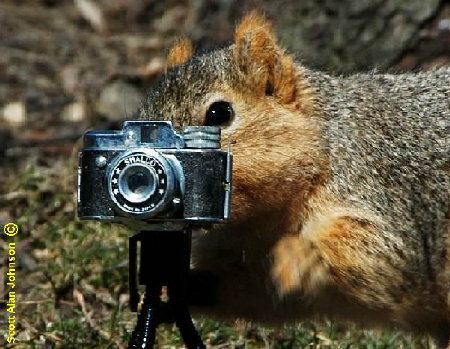 I, Sugar Bush Squirrel, would love to do a photo shoot with you, Carl. You're really handsome! Keep in touch because I want to see your photo book when it's finished. 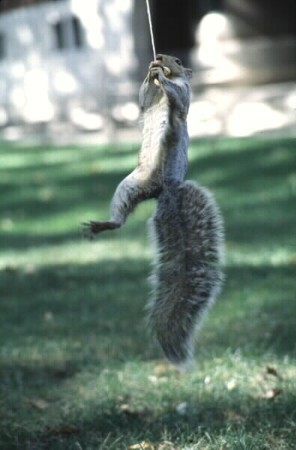 All of you squirrel lovers will appreciate this next ePal of mine. 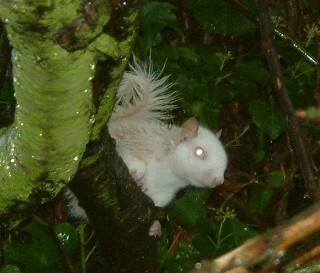 I call her Snowflake and she's a rare albino squirrel who lives on the campus of the University of Kent in Canterbury, England. My ePal Paul of Devon, United Kingdom, sent me these photos of my ol' friend, Snowflake, to let me know that she is doing ok back in Canterbury. Thanks, Paul. 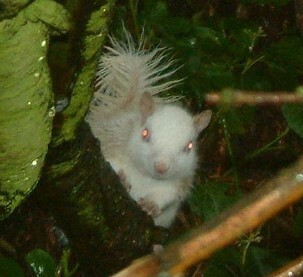 I'm so glad to know that Snowflake is still living in that big, giant tree on campus and doing great!!! Send me more photos of her if you happen to go by there...I really like her. 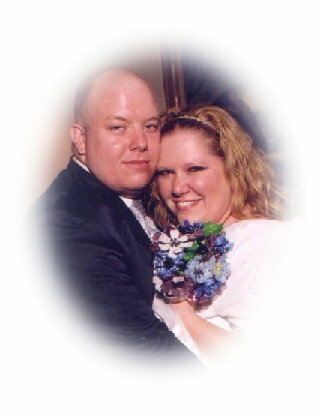 Here are my epals Jennifer and Cody from Tulsa, Oklahoma. Cody's nickname for his wife, Jennifer, is 'Squirrel'. 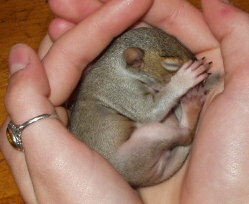 He named her that because of her cute little squirrelly cheeks. That's really cute! 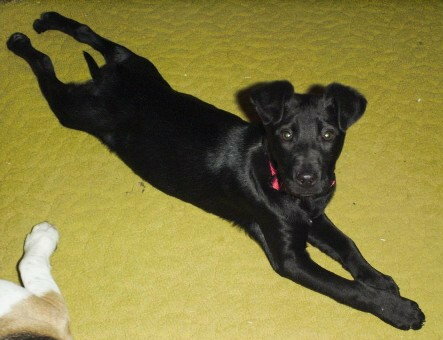 Below are my 3 new doggie epals that belong to Jen and Cody. Left to right: Barney and Betty the Beagles, and Lucy the Lab mix. Thanks for sharing these photos with me for my epal page and thanks for the fabulous emails from all of you! Meet my newest ePal, Mz. Foxy Brown. 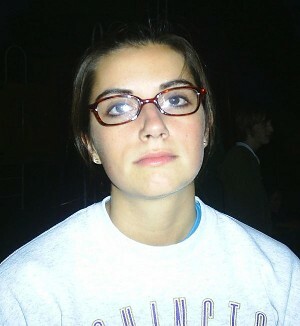 She's lucky to have a mom who takes great photos because her whole life is chronicled in pictures. Mz. Foxy was rescued from a tree that was being cut down with her nest in it. 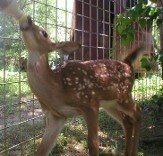 That's the same way I, Sugar Bush, was rescued! Mz. 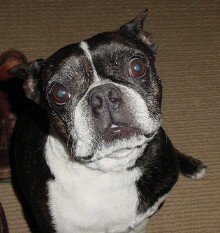 Foxy loves to travel, too, and has been to California, the beach, and loves to run up and down oak trees. Recently she had a fall from a palm tree but her human sister caught her! She loves to watch TV, especially Ellen Degeneres, and hangs out in her mom's and big sister's home office while they work during the day. If Mz. Foxy feels that she's not getting the attention she desires, she comes up and bites one of them on the toe. That'll work! Thanks Mz. Foxy for the photos and the funny stories to go with them. It's great to have an ePal who's just like I am...a cute, cuddly Eastern Gray! Next, to round out ePal page 4, are my newest epals from Jacksonville, Florida. Gwen and her 4 cute little dogs are all decked out for their ePal photos! The first two photos are Gwen on the left and Zoey posing perfectly on the right. 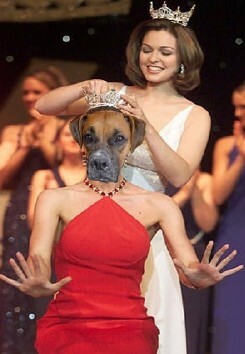 Below you'll see Scooby being crowned most beautiful doggie, then Arizona relaxes on a satin bed spread on the right. Underneath is a photo of little FSBO...what a cutie pie. I just love having little dogs for ePals because they have so much personality and are so much fun. You can tell these guys love to pose for photos and, you know me, I love photos!!! 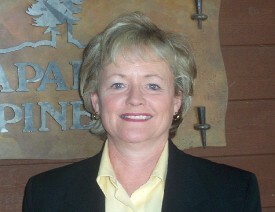 Thanks, Gwen, for all of these fun pictures to add to my ePal pages.